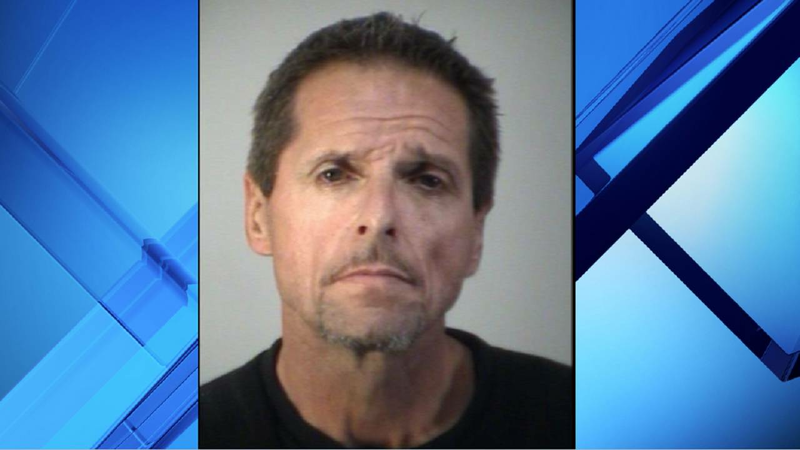 LAKE COUNTY, Fla. - A man who claims he runs drugs for a Mexican cartel was arrested after deputies found $400,000 worth of methamphetamine and other paraphernalia during a traffic stop, according to the Lake County Sheriff's Office. Deputies said they pulled over Joseph Holland, 45, on Georgia Avenue in Paisley around 1 a.m. Friday because the Jeep he was driving had its bright lights turned on. During the traffic stop, deputies said they discovered that Holland did not have a valid driver's license and he was only behind the wheel because the woman in the vehicle with him was tired. Holland was placed under arrest and the deputy asked to search the vehicle. The female passenger said "no" but she agreed once the deputy said the Jeep would not be towed if authorities could be granted permission to search it. The woman in the vehicle told authorities that she had known there were drugs in the Jeep because Holland had showed them to her, according to the report. Deputies said they found Xanax pills, 32 small plastic bags containing a crystal-like substance, a loaded gun, a scale and a pipe. When questioned about the drugs, Holland said he would confess everything as long as the woman wasn't arrested. He told deputies the meth was worth about $400,000 and it weighed 6 pounds wet but since it had been recently cooked and was still drying, it only weighed about 3 pounds, the affidavit said. Holland claimed he got the drugs from a Mexican cartel for which he has been running drugs in the Mount Dora, DeLand and Daytona Beach areas, according to the report. Deputies said Holland claimed that he's now in fear for his life since the cartel won't be getting its drugs or money. Holland was arrested on charges of possession of a firearm by a convicted felon, possession of ammo by a convicted felon, possession of Xanax without a prescription, possession of methamphetamine, trafficking methamphetamine over 200 grams, driving with a suspended license and possession of paraphernalia.